Get the highest productivity out of your equipment using the automatic feeding and folding solutions that you can configure on the IC448 series with its ultimate feeding, folding and stacking (FFS) version. Reduce your energy costs using our advanced heating solutions such as the Electrolux patented Ceramic Gas Burner (CB). Reduce maintenance and have peace of mind brought by the standard Nomex™ belts and the industrial design of the Electrolux ironers range. 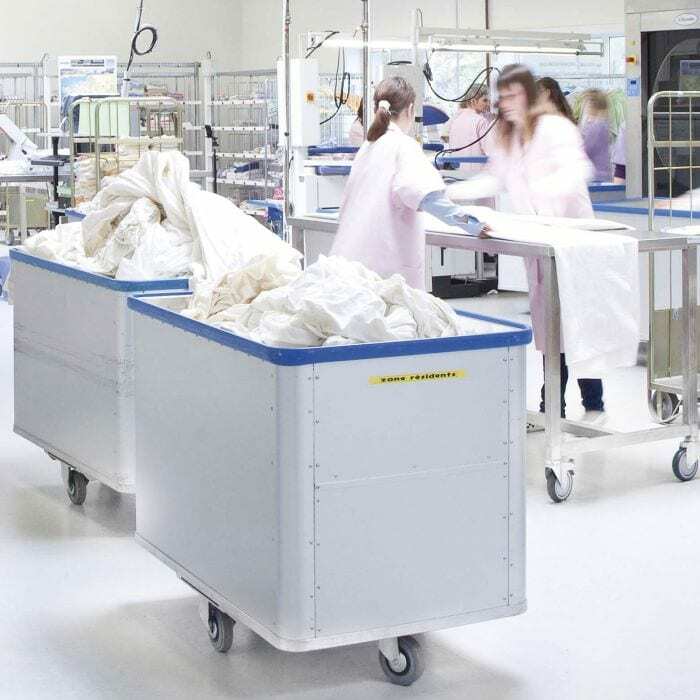 Enjoy the ergonomics of your products delivered with the vacuum feeding table and Dubixium® multilayer cylinder, making the operator’s life easier than ever, resulting in ultimate ironing quality. Intelligent software the Certus Management® Information System (CMIS). Get even more productivity, savings with excellent ergonomics from the Electrolux ironer adding the specially designed accessory, CMIS or by using the C-Flex IL feeding and folding equipment.